Nye is a Mechanical Engineer and Justin is a University dropout . . . twice ! What could go wrong ? ? ? These two are so clueless only “Intellectuals” could understand them . . .
Didn’t “diversity” create Democratic Free Countries on this planet? Well NO it did not . . . Fill in your own punchline. A moron and a buffoon sit down for a talk. Justine has lined up another science workshop with this guy. Eminently more qualified than Nye. It plays well with the brain dead, indoctrinated SJW snowflake crowd in attendance. I’m dismayed at the large amount of people who fall for Trudeau’s BS. Butts must have his trolls working somewhere else rather than this story. It’s appreciated greatly! Nye is being groomed to further the gender-less utopia that the globalists think they can fleece humanity with. Justin finally found a soulmate. Both feminine actors catering to children. Bravo Zulu posted this link in the thread about Ezra’s film “Save The Christians”. A Syrian living in Syria warning us about what Justin is doing. 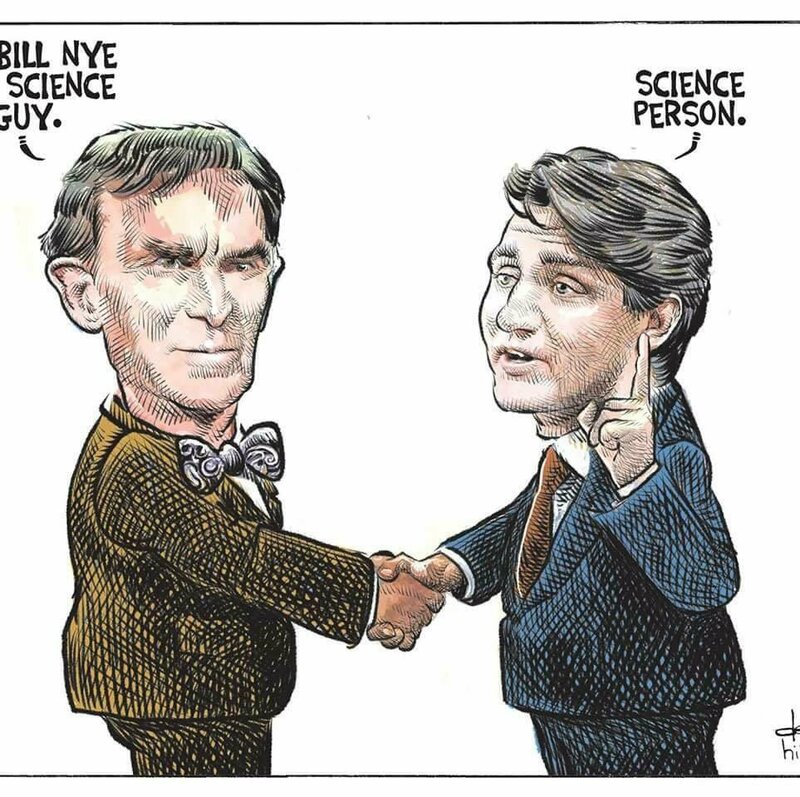 - LOL, so Trudeau had a discussion with pretend scientist Bill Nye. I’m guessing high lord Suzuki was out of his price range. So being born makes you a scientist, forget about the degrees & actually understanding the scientific method & stuff, it’s all about being born ……….. & diversity ………. & snowboarding ………. & stuff. Trudeau can learn lines & read from a teleprompter. Beyond that, well, he’s just not too bright. So we have the comedy team of Prime Minister Sock Boy & Bill Nye the pseudoscience guy. - The farce surrounding Darshan Kang shows the need for a recall process for politicians gone bad. I won’t expect so much as a negative word against Kang from the feminist PM. - I don’t trust the PC party elite. As far as the election is concerned, what good is it to toss out Wynne & keep the Liberal policies in place? The Liberals will just replace Wynne & rebrand themselves. As of now I have still not gotten my verification letter. I trust Christine Elliot about as much as I trusted Patrick Brown – which is not at all. 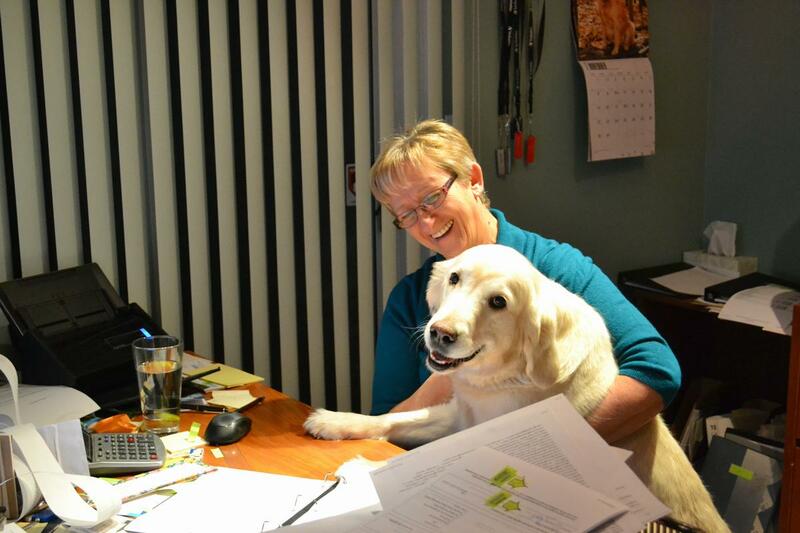 If she wins I’ll be voting Trillium. Ezra refers to junior as “Baghdad Bob” in a recent twitter regarding his taxpayer funded trip to snub India! I wouldn’t recommend it to anyone that is prone to depression . A fake Prime Minister exchanging dumb ideas with a fake “Scientist”. What could be more moronic? Nye is a public school science teacher nothing more and of course our very own Pee-Wee Herman thinks this guy is Albert Einstein. I see the trolls are ignoring this one as well. They are pathetic. Nationwide anti Trudeau rally at city halls all over Canada, April 2nd, noon local time, including Toronto and Ottawa. For more information please see www.croscanada.news, youtube channel. CCN. Hope to see The Rebel at some of these rallies. Even having a few in Alberta. Romper Room David, to me it looked more like TeleTubbies. At least this time Trudeau was embarrassing here at home. So this time it didn’t cost us any money or friends. Maddie Di Muccio may be right that the voters may be so upset about the shenanigans related to the vote for the PC leader that they may not vote or even go with Wynne much like happened in Alberta when Danielle Smith led a band of Wildrosers over to the PC party, which was in disrepute. Even those short clips were agonizing to watch. Did anyone notice on how quick Trudeau defended & promoted the KM pipeline to Nye, no, neither did I. That was a dead giveaway reaffirming how he really feels about it, hoping deep down they will walk away. Maddie Di Muccio is so right. Until the MP’S that fell in behind Elliot from Browns bunch are weeded out the swamp will remain deep in the party. One of the reasons I want Doug in there is to drain the damn thing. Trudeau and Nye are truly a match made in heaven. The Abbott and Costello of eco-loonyism. Never let the fact that you have no idea what you’re babbling about stop you from babbling. It’s really too bad Kooky Suzuki couldn’t make it, he would have fit right in. How did you make it through without puking. It sounds like the fix is in already for the PC leader. I’m with Doug Ford, they need to ensure every member gets to vote, otherwise it’s a sham on so many levels. This whole situation is suspicious! Seeing how Nye is one of those nuts from California that connects climate change with the Paris islamic cult terrorist attack, who else would Trudeau be hanging with at an Ottawa school? Among other things Nye is a mechanical engineer. I know lots of ME’s. Many claim that climate change is NOT the result of carbon dioxide emmissions. So believe Nye if you want Trudeau. Trudeau’s iternary is being set up by some wacko close to him. He isn’t bright enough to strategize this charade of nuts on his own. From India back to Ottawa. It’s all about winning the next election. Using taxpayers money. Unfortunately fem boy is smart enough to know he’s heading downward in the polls. Even Eric Grenier’s polls shows him 5 points behind Scheer. Butts knows too, because the LPC, like their opposition, don’t solely rely on media polls. The LPC conducts their own polls. And Buttsy boy knows exactly where Trudeau is headed. Let’s hope people wake the hell up and punt this crew the hell Otta Ottawa.